Molar world, established in 2001, is an upscale dental clinic that specializes in providing all types of dental services in a clean and modern environment. The clinic uses state-of-the-art technology while providing gentle and relaxing treatments. Molar World offers quality and professional dental services with genuine care for the patient's health and well-being. The corner stone of Molar World's practice is their patient education system. They are committed to educate the patients and explain the advantages, disadvantages, costs and time requirement for every dental procedure. Molar World encourages their patients to ask questions. They want their patients to make educated decisions about their dental treatments. Molar World's top priority is to keep their patients comfortable, helping to make their total dental experience relaxing and enjoyable. Molar World proves that dental visits need not to be boring, scary or expensive. 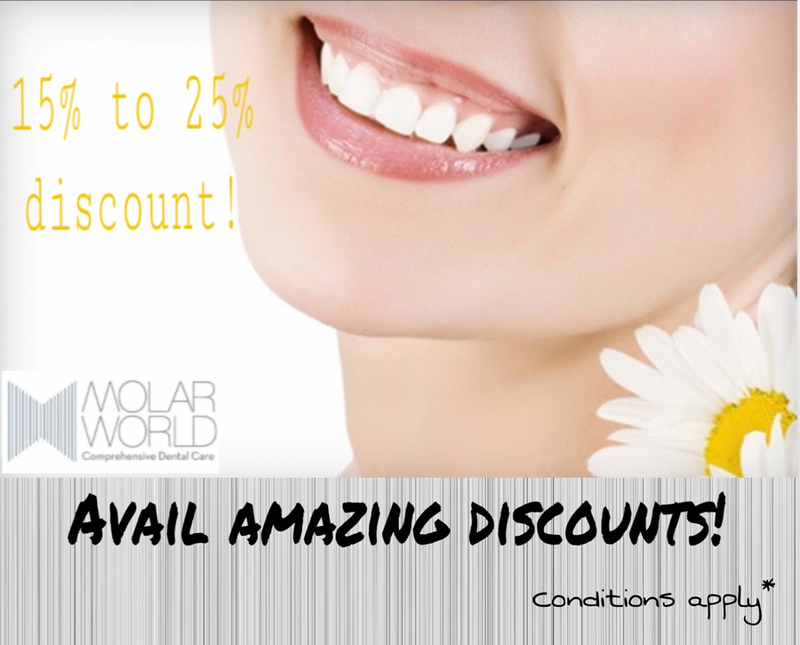 As a matter of fact, once you have visited Molar World you would yourself believe in making more regular visits that will benefit you in the long run economically and health-wise. Molar World was created to provide a clean, modern and specialized dental practice with all services being offered at one facility. The dental clinic is proud to provide the most modern dental procedures all at an affordable price. State-of-the-art dental equipment is used to assist in providing the most modern dental procedures any where in the world. Half of the interior has been created by Mr. Asghar Siddiqui of Eleken associates and another half has been very beautifully designed by Sonila Ahmed. Special features of the office design and careful choice of equipment were intended to encourage a relaxing and pleasant experience at Molar World. Some of these include soft lights, quality wooden furniture in the waiting lounge, LCD TVs in treatment areas, attractive visuals which have been provided exclusively by Ms. Tuba Arsahd and state-of-the-art dental units. And most importantly, special care is given to the sterilization of the equipment at Molar World. International standard sterilization of all dental equipment is a priority and only top of the line dental products are used such as 3M, Biohorizon and Zhermack. In addition, nonporous surfaces have been used in the surgeries which are specially designed to not attract bacteria. Dr. Khawaja Atyab and Dr. Noreen Khawer are graduates of The Baqai Medical and Dental University's first batch. Since they began practicing dentistry, Dr. Atyab and Dr. Noreen have kept up to date on many continuing educational classes, ensuring that their patients receive the most comprehensive and advanced dental care. The doctors find it rewarding to positively influence the outlook of their patients. Dr. Atyab and Dr. Noreen are devoted to helping their patients achieve optimal oral health, and believe resolutely in treating the person, and not just the teeth. The doctors have enjoyed creating attractive, healthy smiles for patients for more than one decade. During this time, the doctors have dedicated themselves to providing state-of-the-art, personalized orthodontic care in a comfortable, friendly and private setting. Molar World has a team of specialized dental practitioners. You'll be surprised - dental visits aren't what they used to be. If you are nervous about your dental visit, then perhaps you haven't visited Molar World. Special Services: Lady doctor available and special arrangements for ladies observing PARDAH. 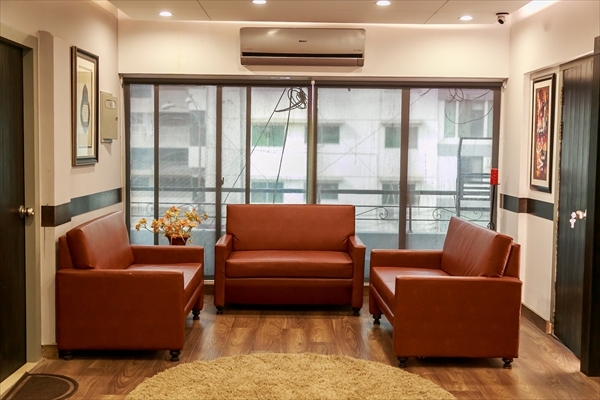 Modern Amenities: Stand along dental unit with sensor lights, X-Ray viewers, Wi-Fi, elevator facility, LCD TV’s in treatment areas and waiting lounge and more. Nearest Landmark or Cross Street: Above M&M Super market and behind Pizza Hut's take-away outlet on Shahbaz. Special Offers: To celebrate the launch of our new clinic we are offering a 15% discount on all professional services (excluding implants and orthodontics). Snob Members get a 25% discount. What To Expect: A friendly, professional dental team who genuinely care about the patient's well-being and a pleasant and relaxing environment. We greatly appreciate your comments and reviews! On KarachiSnob.com, we take your reviews seriously. Comments are forwarded the the business owners when possible. Commenting also helps us to determine which businesses get approved for a listing on our site. When you want an effective way to express yourself while creating real change and results in our local businesses, you can rely on KarachiSnob.com.